Oops! I almost ate the last piece of this incredible cake without taking time for a blog photo. That is what happens when you care more about eating cake than preserving its place in history. Admittedly, chocolate is not my thing. 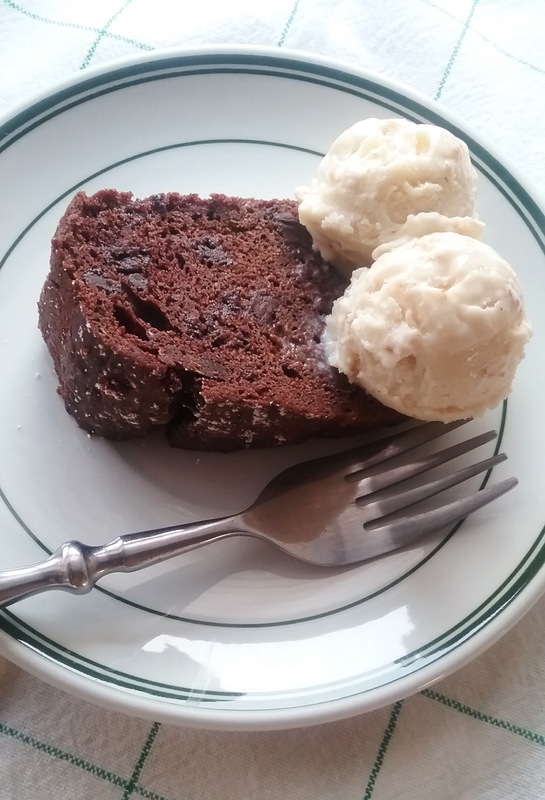 But if there is anything that would change my mind, it would not be a flourless chocolate cake, or a rich chocolate truffle, it would be this cake. Right out of the oven, the charming exterior has a crisp brownie-like crust which is elegantly foiled by its light, well-constructed interior crumb. Thanks to the mysterious zucchini addition, it is perfectly moist, and for a chocolate cake the butter/oil content is surprisingly low. 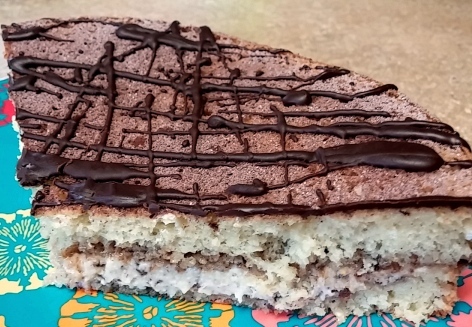 It is a well-balanced cake, not too sweet, but deeply flavored with cocoa powder, chocolate bits, and a hint of coffee. Yes, it’s all of that. 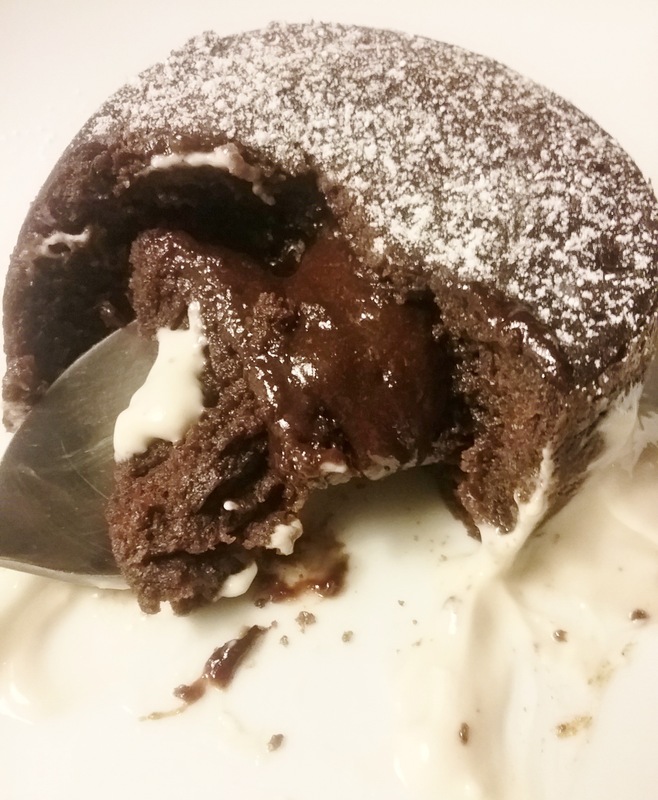 From Clotilde Dusoulier’s award winning blog, Chocolate and Zucchini. First published in April 2004 and updated in August 2017. Preheat the oven to 350°F. Grease a 10-inch round springform pan or 8 1/2-inch square pan. 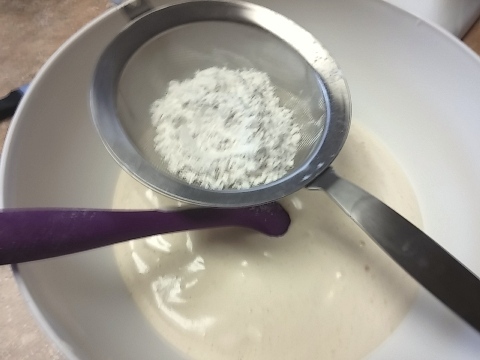 In a medium mixing bowl, whisk together the flour, cocoa powder, baking soda, baking powder, and salt. In the bowl of a mixer, or by hand in a large mixing bowl, beat the sugar and butter until fluffy. Add the vanilla, coffee, and eggs, mixing well between each addition. In a large mixing bowl, combine the zucchini, chocolate, and about a third of the flour mixture, making sure the zucchini strands are well coated and not clumping too much. Add the rest of the flour mixture into the egg batter. Mix until just combined; the batter will be thick. Fold the zucchini mixture into the batter, and blend with a spatula without overmixing. 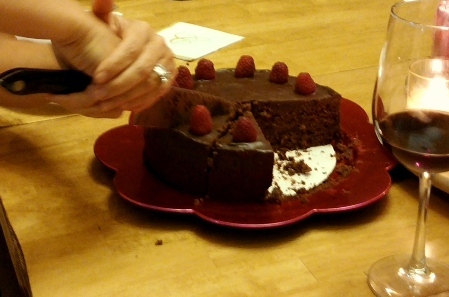 Pour into the prepared cake pan, and level the surface. Bake for 40 to 50 minutes, until a knife inserted in the center comes out clean. Don’t overbake. This weekend we have finally been able to string a few warm days together. It’s a welcome reminder that summer is on the way and flats of fresh strawberries are just around the corner. 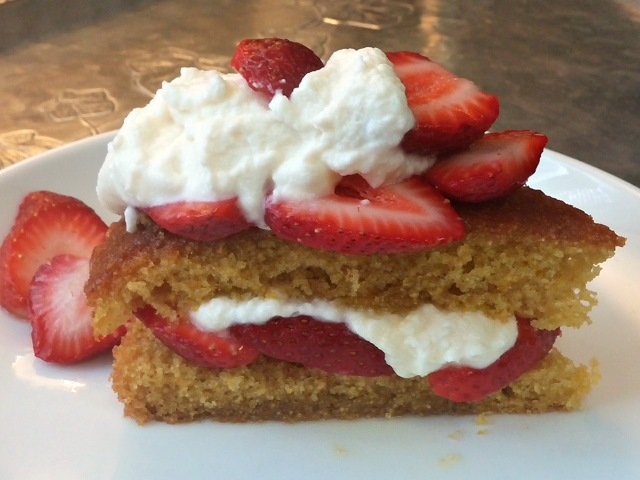 One of my favorite ways to show off the season’s best berries is with Polenta Orange Cake, a low squat European-style beauty imbued with a slight crunchy-sweet corn essence. The orange zest and polenta join together in a burnished gold crumb dense enough to welcome a good soaking of orange syrup or juicy berries. For strawberries and cream cake, slice the cake in half torte style, fill it with sliced strawberries, and spoon on whipped cream. Or, for my favorite ricotta cream, cut the whipped cream with half ricotta. It’s a natural wonder. Preheat oven to 350° F. Line a 9″ cake pan with parchment or foil and spray with baker’s spray. Combine the dry ingredients and set aside. In a mixing bowl, cream butter until light, slowly add the sugar and beat until light. Add the eggs one at a time, until fluffy. Add the vanilla, orange juice, the zest and mix. Don’t worry if it curdles. Add dry ingredients, mixing just to incorporate. Scrape bowl down and spread the batter evenly into pan. Bake for 30 minutes, until cake springs back when touched. Remove from oven and brush liberally with orange syrup while still warm. For the Syrup: place all but extract in a small saucepan and bring to a boil; continue to boil briskly for 6 to 8 minutes, until it begins to thicken. Let cool slightly, remove orange and strain. Add the almond extract and brush over the warm cake. Prepare strawberries and cream: combine the berries with sugar and chill; save a few pretty whole ones for garnish. Whip the cream, add the sugar and vanilla. To assemble: slice the cake in half horizontally, brush the bottom layer with orange syrup, layer with some of the sliced berries, spread with whipped cream. Add the top layer, top with more berries and garnish with whipped cream and few pretty berries. Serves 6 or more. The cake can be baked a day ahead. 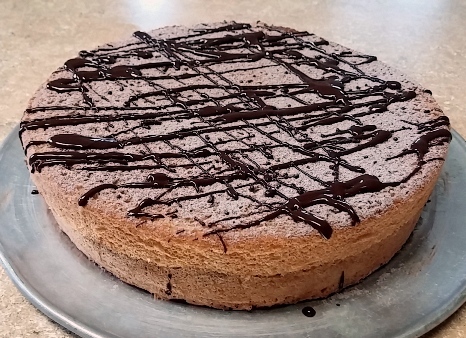 The idea of a malted milk cake has been on my mind for a while now, but it wasn’t coming together. Things started clicking when my friend Pat Clark mentioned memories of hot milk cake. 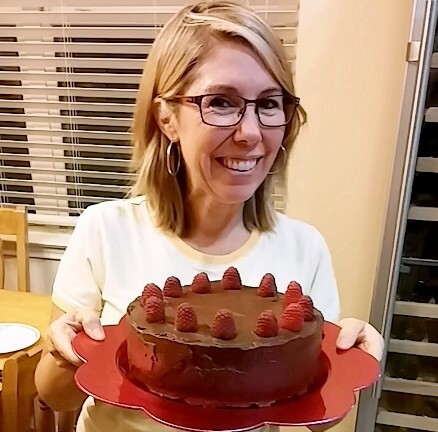 She grew up in a large Southern family and fondly recalls her mom’s cake as a childhood favorite of all of her brothers and sisters. 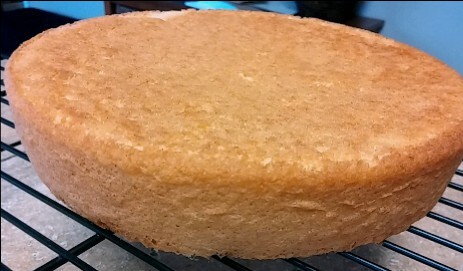 After a little preliminary research the hot milk cake began to look even more intriguing. This no-frills sweet has a rich history spanning back to the Depression era, when the most basic staples were hard to come by. Here, the clever use of sugar manages to transform a few simple ingredients into a memorable cake with impressive texture, volume, and flavor. Take a generous amount of sugar, whip it with eggs until a voluminous mass forms, add a bit of flour, the hot malted milk, and you’ve got the basis of light, high flavored cake that’s not cloyingly sweet—and requires no frosting. Pairing malted milk with the hot milk cake is a natural combination, injecting an inspired caramel nuance into this vibrantly moist cake and giving it a relevant retro touch. 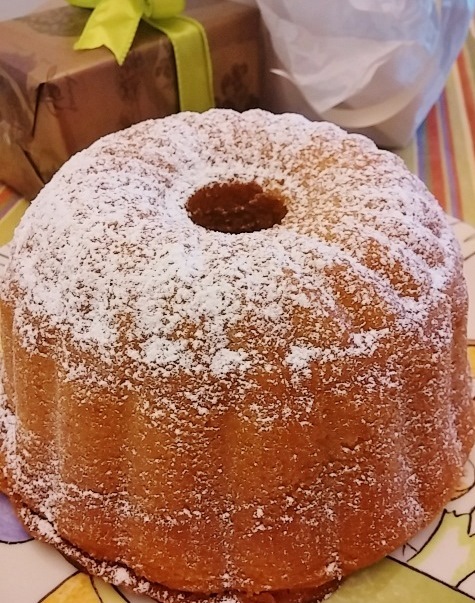 Bake it all in a bundt pan or other pretty mold, a dusting of confectioners’ sugar across the top is all that is necessary to make it unforgettable. If you must, serve it with a caramel glaze or drizzle. Preheat the oven to 325°F. Prepare a bundt or 9”x 13” pan: spray with non-stick spray and dust with flour. Sift together flour, baking powder, salt, and set aside. In a small saucepan over low heat, melt the butter. Combine the malted milk, the milk, and the vanilla and stir into the butter; heat until small bubbles form around the outside of the pan and the mixture is very hot but not boiling. Reduce heat to low. In an electric mixer fitted with a whisk attachment, combine eggs and sugar and beat on medium-high speed for 5 minutes, until light, thick, and tripled in volume. On low, slowly add the hot milk mixture, mixing until incorporated. Add the dry ingredients in two batches, mixing after each addition until just incorporated. Pour the batter into the prepared pan. Bake bundt pan for 1 hour, checking 5 minutes prior to baking end time; 9”x 13” pan 40-45 minutes, until a toothpick inserted into the middle of the cake comes out clean, with a few crumbs attached. Do not over bake.